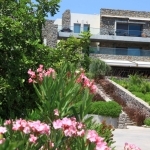 Save 15% on Turkey 2 and 3 Bedroom Golf and Beach Apartments in Bodrum, Bargylia. 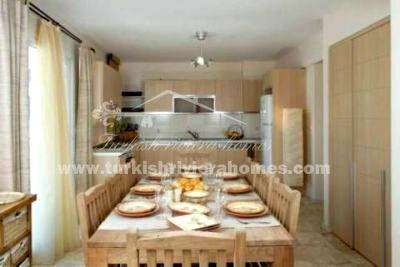 *HERE TOP QUALITY MEETS UNIQUE LOCATION* 2 bedroom apartments in Bodrum Bargylia designed with the highest quality. 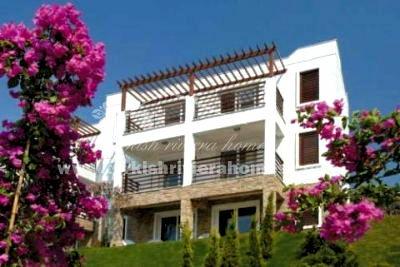 Golf course, fitness, sauna, and many more facilities in luxury complex, with easy access to beach and Bodrum centre. 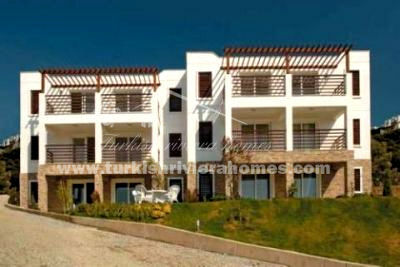 Top Bodrum investment property! Ready to move into. 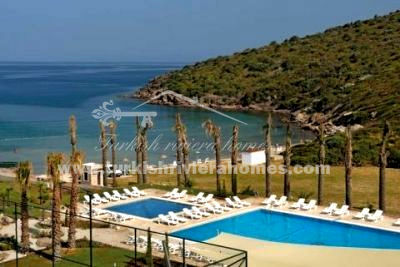 This luxury gated development is situated on the Aegean coast. It is ideally located 15 minutes from the airport and 25 minutes from the centre of the beautiful town of Bodrum with it’s wonderful marina, castle and excellent very relaxing social life. The peace and tranquility of the village provides an idyllic sanctuary in which to forget the outside world. 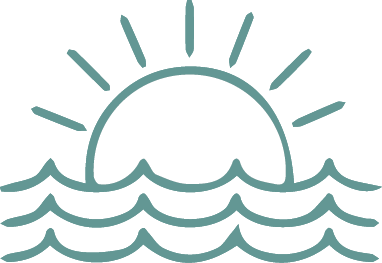 From your balcony watch the Aegean sea lapping in the bay and relax as quiet village life calmly goes on about you. The area is tipped as a major investment hotspot. We have combined the aesthetic values of the regions historic architecture with those of the present to provide the best of both worlds. One hundred and ninety six unique properties, overlooking a stunning private bay, await their new residents. The car park has been intentionally built outside of the complex in order to strictly minimize the level of noise and prevent the residents from being disturbed. Inside, ultra quiet chauffeur driven electric vehicles are provided in order for the residents to move effortlessly around. Visitors gain access to the village via a security reception room and meeting area. Further on down past the residential apartments, which all overlook the sea, is a large swimming pool, a children’s swimming pool, a large Jacuzzi, a cafe-bar, tennis court golf, practice golf area, private beach with wooden quays and sundecks that provides the residents with the opportunity to completely relax, swim and unwind in their own secluded and beautiful bay. A diverse range of apartment and villa designs offer a tailor made solution for each of our clients specific needs. Two bedroom apartments and duplexes of 81 square metres and three bedroom triplex’s of 122 square metres all provide the perfect opportunity to live here as a resident. 3 bedroom Triplex apartments with 122 m2 closed area start from 103,000 Euro and range to 120,000 Euro. We can also offer you a quality furniture package which gives you different design alternatives to choose from for your property. The prices for this package would be 5,200 Euro for apartments and duplexes and 7,500 Euro for triplexes. 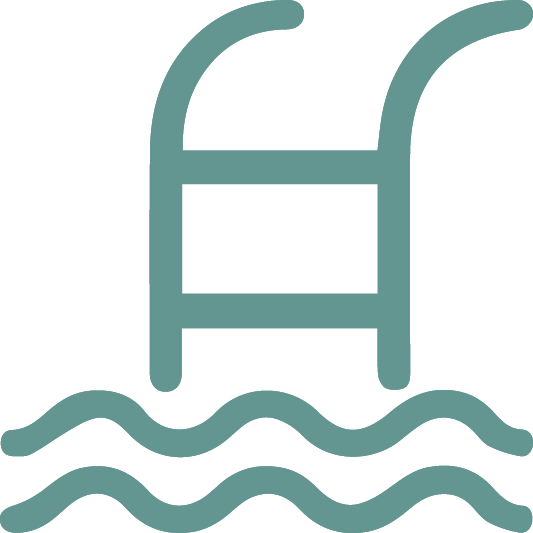 Our payment plan is 30% when signing the purchasing contract and the remaining 70% in November 2008 (promotional offer). We will ensure that your lawyer is completely satisfied with the guarantees he receives from Stewart International for your residential property title deed.